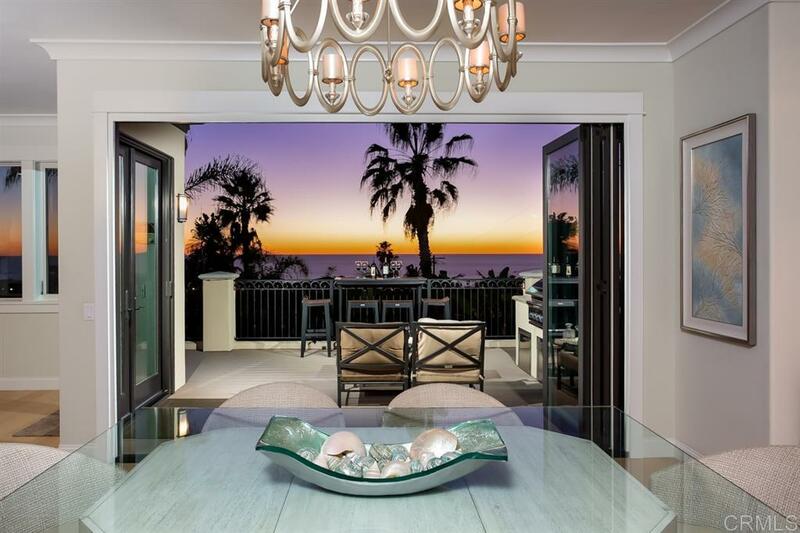 Looks...Location...Lifestyle...Captured in this Exquisite Sweeping Ocean/Sunset View Beach Home. Embracing the Elegance of a grand Estate masterfully merged with the Tones and Patinas of a dazzling Beach Retreat. Located in the Heart of the Walking District of Cardiff...stroll to Beach, inviting local Restaurants and notable Seaside Market while capturing the very inherent culture which defines Cardiff by the Sea....Timeless taste for the discriminating. Please see Supplement...., Remodeled and Designed with nothing Spared. Seller installed a "Dumb Waiter" for added convenience and care. The Views are breathtaking...day and night and capture the essence of Cardiff's sought-after splendor. Craftsman details, high end finishes...and even Solar Panels. Some or all Furniture may be included. This is an Experience...a Lifestyle...a Knockout ! !